PingJiang County is located 100 kilometers away from Changsha City and YueYang City, upstream on the MiLuo river, and a major origin of Chu culture. It is one of Chinese counties in poverty. The fiscal poverty results in lack of resources on public education and full-time qualified teachers. For example, Some basic requirements of music education by the State Education Department can not be fulfilled. Children in rural areas also do not have the opportunity to visit big cities and foreign countries. 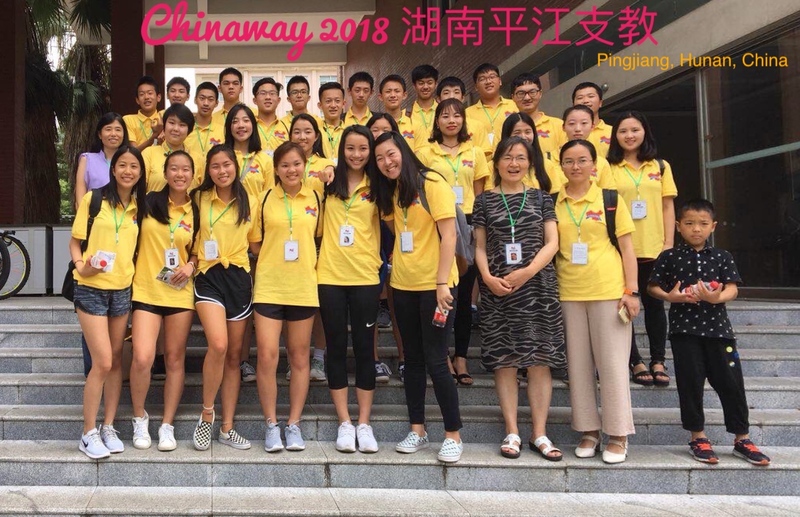 The ChinaWay volunteer program, recommended by local Chinese Overseas Federation, jointing local nonprofit organization and volunteers will host a public English summer camp for the PingJiang County in 2018. The goal is to provide local students with English literature, arts and American culture, so that PingJiang children will have a special summer vacation to remember. Chinese students are 11-14-year-old middle school students, hoping to improve English fluency, English pronunciation, as well as music, dance, sports, arts and other knowledge. We ask the U.S. high school student volunteers to have a certain ability of expression, work earnestly, be caring, be responsible, be able to work in teams, and have a hard-working personality and attitude. Welcome volunteers with sports, painting, music, dancing and other specialties.